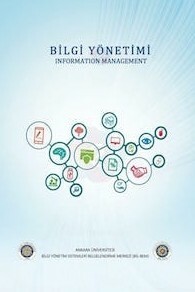 Journal of Information Management is the publication part of Information Management System Certification and Information Security (BİL-BEM) of Ankara University. This journal is published twice a year and electronically scientific journal. This journal adopts an open access approach. The articles and writings to be published in the Information Management Journal are evaluated by the Editorial Board and the Referee Board. Articles published by the editorial board in the editorial process are evaluated scientifically by the Referee Board by double blinding. Writers responsible for their articles’s ideas. There is no charge for articles. Purpose of the journal; to publish original scientific research articles in Turkish with an interdisciplinary approach that include practical experiences in the field of knowledge management, records management, archive management and information systems. There are sections with the title of "Peer-Reviewed Articles, Reviews, Undergraduate Student Articles, Presentation-Evaluation and News". All articles that complete the publication process are subject to an 'iThenticate' evaluation prior to publication. In the ‘Peer-Reviewed Articles section’; articles published by the Refree Board with scientific evaluation by the double blind method. In 'Undergraduate Student Articles' section; undergraduate student articles will be published in the editorial board and the referee board process by indicating that the undergraduate students are 'Undergraduate Student Articles' in order to encourage academic studies and academic life. The Undergraduate Student Works will be available from the 2nd number of journal. The purpose of this section is to contribute to meet the need our country which needs more researchers. This journal aims to raise awareness and include undergraduate students' articles in order to encourage undergraduate students to pursue academic studies and academic life. Encouragement of undergraduate student writing and publishing will gradually become an academic gain for us.